Joseph Janusz is an associate in the firm's Intellectual Property group. 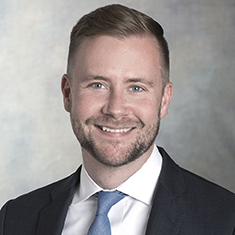 He focuses his practice on complex patent litigation involving a variety of technologies, and has litigated disputes involving pharmaceutical compounds and compositions, medical devices, GPS technologies, semiconductors and retail security products. Joe has litigated cases in federal district courts across the country and has been counsel in a number of inter partes review proceedings before the Patent Trial and Appeal Board at the United States Patent and Trademark Office. With particular experience litigating Hatch-Waxman cases, Joe's experience with and knowledge of the drug approval process allows him to advise clients in developing patent and litigation strategies that keep overall business objectives at the forefront of every decision. Representation of Mylan in an infringement dispute regarding multiple patents for topical foam acne treatment Evoclin®; defendant Glenmark Pharmaceuticals alleged the filings were "sham litigation" to delay approval of a generic. Katten successfully persuaded the US District Court for the District of Delaware to dismiss the antitrust counterclaim. Counsel for some of the world's largest pharmaceutical companies in several Hatch-Waxman litigations. Litigation in the US District Court for the District of Delaware involving multiple patents associated with pre-colonoscopy cleansing using sodium picosulfate, magnesium oxide and anhydrous citric acid. Litigation in the US District Court for the District of Delaware involving a patent that purports to be related to the treatment of deep vein thrombosis using rivaroxaban. Litigation in the US District Court for the District of Delaware involving multiple patents associated with the treatment of irritable bowel syndrome with constipation, and chronic idiopathic constipation using linaclotide. Litigation in the US District Court for the District of Delaware involving a patent associated with the treatment of inflammatory and pruritic manifestations of corticosteroid-responsive dermatoses in patients aged 12 years or older using Olux-E®. Litigation in the US District Court for the District of Delaware involving multiple patents associated with the treatment of major depressive disorder using vortioxetine hydrobromide. Litigation in the US District Court for the District of New Jersey involving multiple patents associated with the treatment of glycemic control in adults with type 2 diabetes mellitus using canagliflozin. Litigation in the US District Court for the District of Delaware involving a patent associated with the treatment of HIV-1 infection in adults and in pediatric patients weighing at least 40 kg using dolutegravir or abacavir, dolutegravir and lamivudine. Litigation in the US District Court for the Southern District of Florida involving a patent associated with the treatment of symptoms associated with seasonal and perennial allergic rhinitis using levocetirizine dihydrochloride solution. Litigation in the US District Court for the Northern District of West Virginia involving patents directed to a delayed and extended release of mesalamine. Litigation in the US District Court for the Northern District of California involving patents directed to semiconductor bonding technologies in image sensors. Litigation in the US District Court for the Eastern District of Michigan involving patents directed to GPS technologies. Litigation in the US District Court for the Northern District of Texas involving patents directed to retail security devices. Counsel in several inter partes review proceedings before the PTAB at the US Patent and Trademark Office.